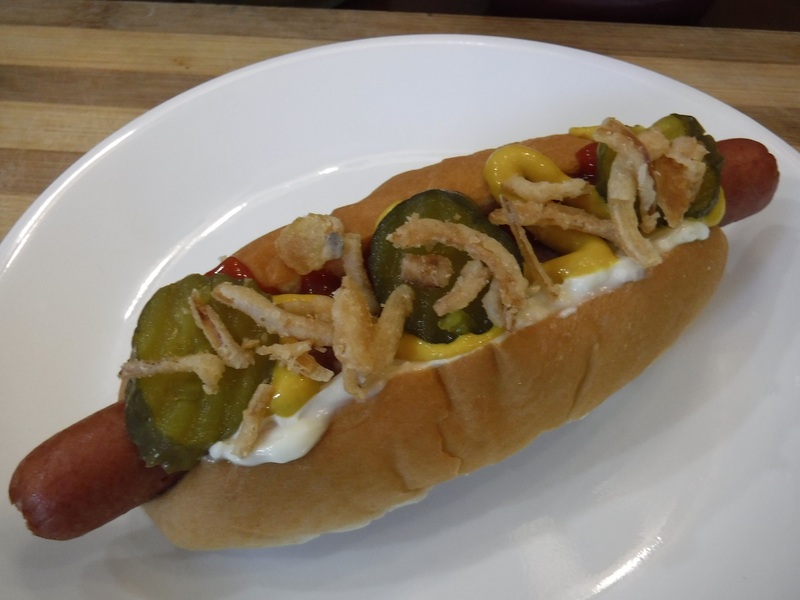 This is a home-made refrigerator pickle version of the pickles that area mainstay of the Danish street vendor hot dog stands. 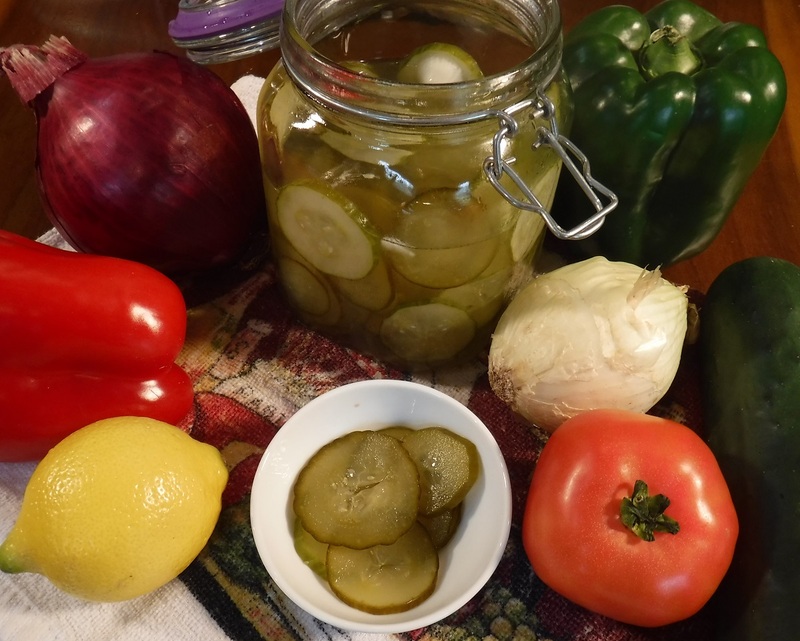 They are quick to make, very tasty and adapt well to your favorite pickle seasonings. These and the commercial versions find their way onto delicious and beautiful Danish Smørrebrød sandwiches. Optional: Some recipes call for substituting some lemon juice for part of the vinegar. 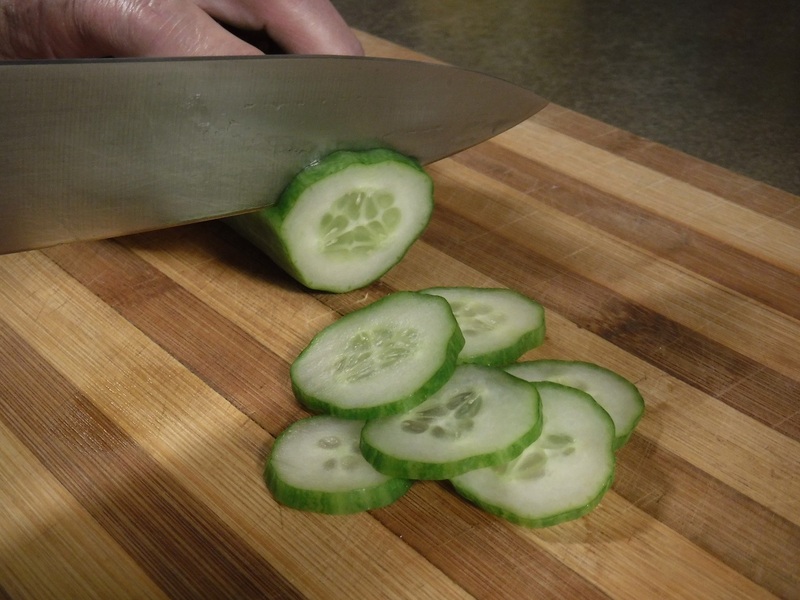 Using a mandolin or very sharp knife, carefully slice the cucumbers as thin as possible. They need to be wafer thin. 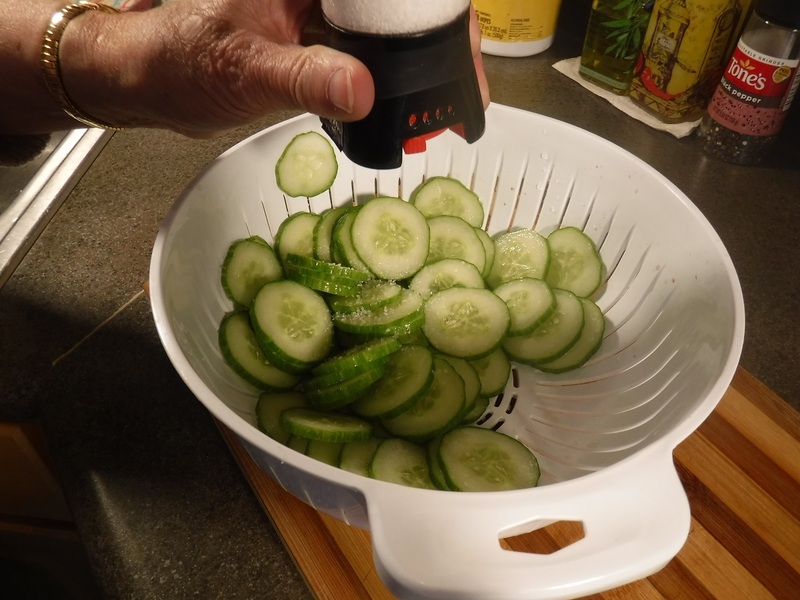 Place the slices in a colander and sprinkle generously with the salt. 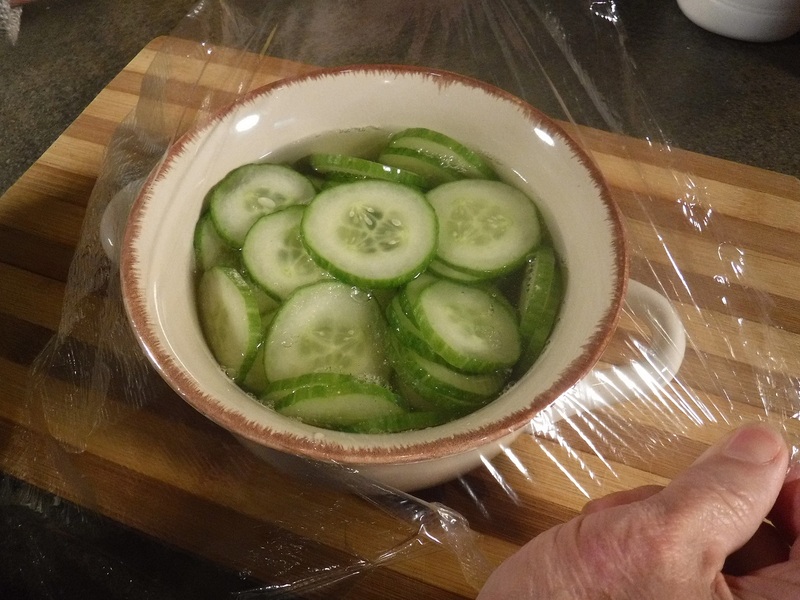 Allow to soak for a good 20 minutes. Drain and lightly rinse. 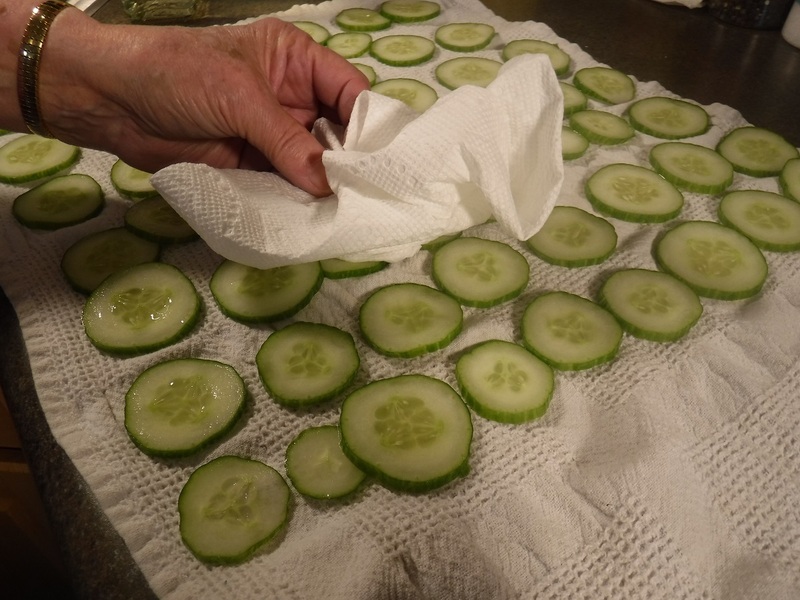 Using a kitchen or paper towel very carefully dab the slices to soak up any excess liquid. 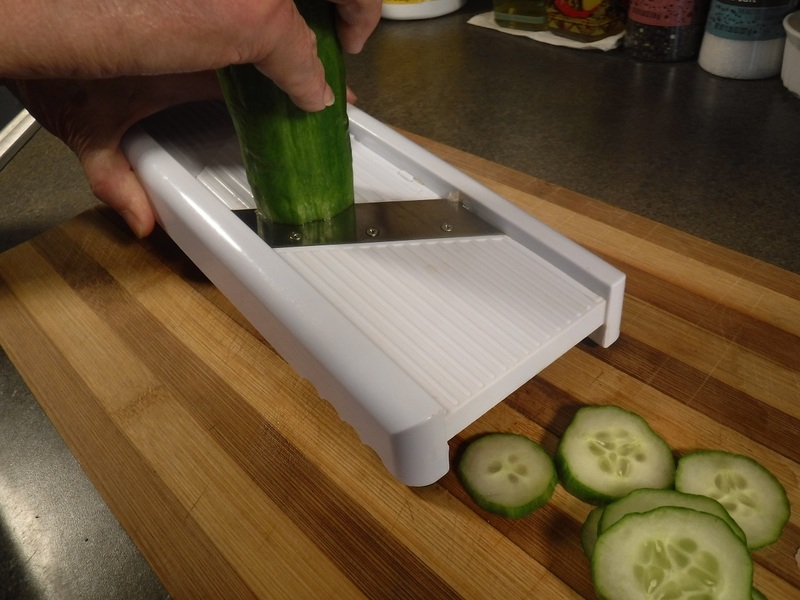 Place the cucumber slices into a bowl or plastic container with the onion slices if using. 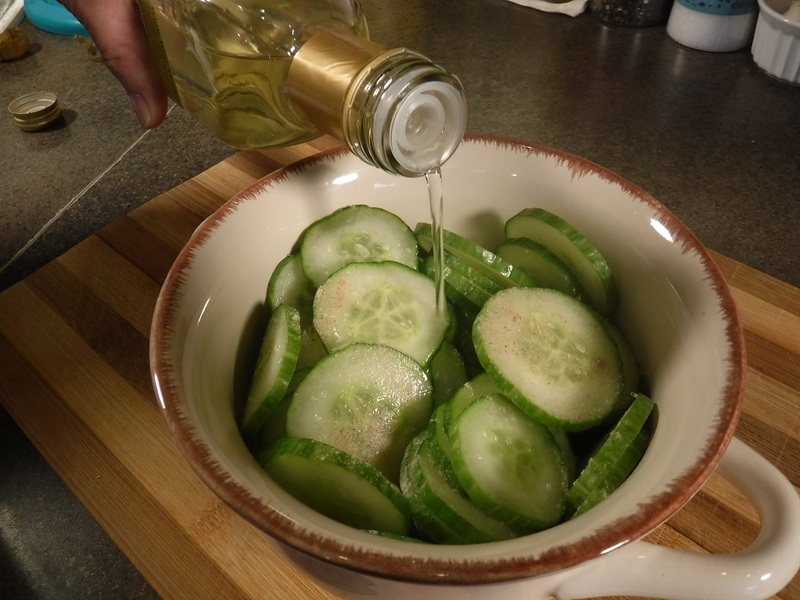 Add a little seasoning to personal taste and pour the vinegar over to cover. Wrap with cling film and place into the fridge until needed. 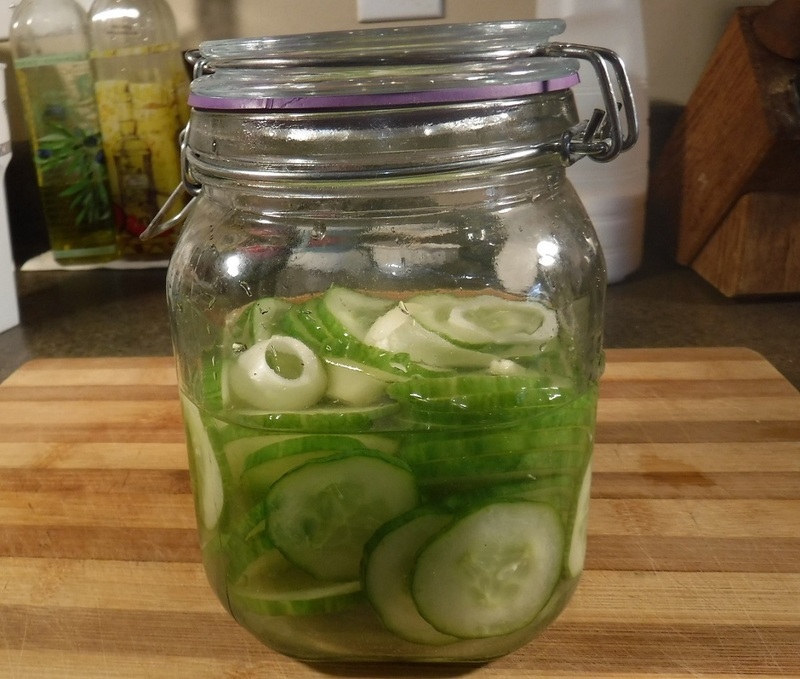 The pickles can be used in a few hours, but best made 24 hours in advance. These are refrigerator pickles and need to be stored in the refrigerator. Optional:Some family recipes s call for substituting some lemon juice for part of the vinegar.